This drop down box allows you to view detailed alerts for a specific state. There are a number of warnings, including Frost Advisories and Flood Warnings. By being able to view detailed alerts for surrounding areas you may be able to better predict weather outcomes for your farm. 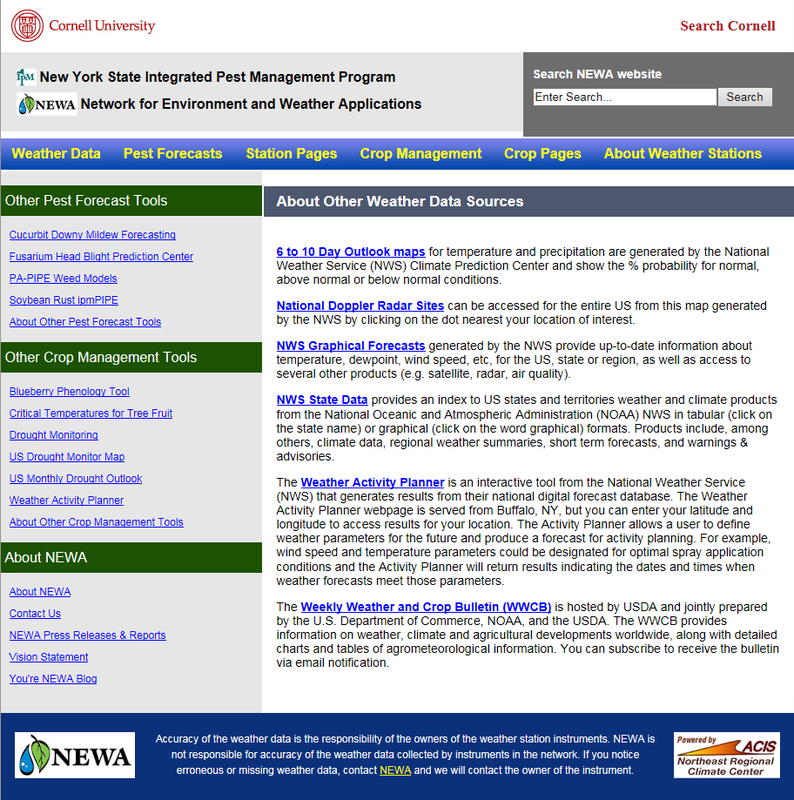 If you were to return to the NEWA homepage and go back to “Other Weather Data Sources” there are other links which are a part of the National Weather Service. 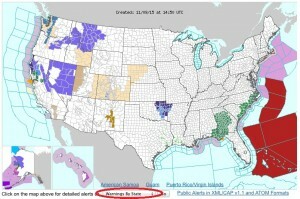 Beginning on “Other Weather Data Sources”, click the link that says “About Other Weather Data Sources”. This brings you to the page displayed below. From here you have a series of links to choose from. Each is described in detail which allows you to find the link best suited for what you need. The headings displayed are 6-10 Day Outlook Maps, National Doppler Radar Sites, NWS Graphical Forecasts, NWS State Data, Weather Activity Planner, and Weekly Weather and Crop Bulletin (WWCP). Each of these, excluding the WWCP, directly links back to the specific National Weather Service webpage. Each link has different offerings in regards to weather. 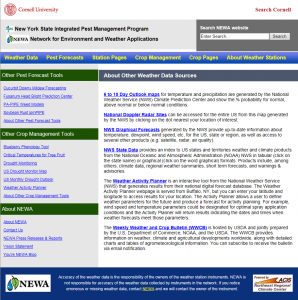 By using the resources given through both the NEWA main page and the National Weather Service you may be able to better predict weather patterns in order to plan accordingly and to also be aware of weather that may hinder planting, harvest and other farm activities. This entry was posted in information on November 9, 2015 by Nicole Elizabeth Mattoon.